Many people are interested in starting their own business, but they are often unsure as to how to proceed. One option to consider is to purchase a franchise. You receive guidance and support from the company in exchange for paying it a percentage of your sales in the form of royalties. But before you dive right in, it’s more important than ever to thoroughly study and research the franchise opportunity before making the investment. Carefully reading and understanding the Franchise Disclosure Document (FDD) is one of the most critical steps before signing any franchise agreement or outlaying your money. A franchisor must give its FDD to prospective franchisees at least 14 days before an agreement is signed or money is exchanged. The FDD will include disclosure about what’s expected of you as a franchisee and what you should expect from the franchisor. The FDD discusses the experience of company executives, financing, fees to be paid, litigation, the network of franchisees, the terms of the franchise agreement and much more. Below are some highlights of what you can find in the FDD. In the FDD, you’ll find key information about the history of the franchisor’s past activities – including how long it has operated the type of business offered. Consider how long it has been in business and whether its business model has been tested over time. The FDD contains useful information about the franchisor’s litigation history over the past 10 years – the franchisor must disclose the number of suits it filed against its franchisees in the past year. Any felony or fraud convictions of the franchisor’s top executive officers must also be disclosed in the FDD. The FDD provides a standardized way for you to compare the initial investment and ongoing fees required from one franchise to another. The FDD will identify the restrictions you must operate under when purchasing inventory, supplies and other goods. Many systems mandate that these products be purchased from the franchisor, or from suppliers designated by the franchisor, leaving franchisees with limited ability to purchase similar goods from other suppliers (at potentially lower costs). The FDD should describe these restrictions and tell you if top management of the franchisor has a financial interest in the designated suppliers. Training by the franchisor is a major reason many people considering buying a franchise, and the quality of the franchisor’s training program is an important tool in the successful operation of the franchise. The FDD tells you important details about the franchisor’s training program, including a very significant one: whether the instructors have actual, practical experience operating the franchise or similar business. Even though you may receive a protected territory in which the franchisor has agreed not to open another unit, you may still compete with the franchisor for sales if the franchisor reserves the right to use less traditional ways to market its product or service, such as through the internet, direct marketing or telemarketing Also, your choices for the site of your business are often subject to the franchisor’s approval and criteria. The FDD can help you better understand these provisions and restrictions. The FDD will tell you if the trademark is federally registered and whether the franchisor will assist you in defending your right to use the name should it be challenged. The FDD should also tell you if the franchisor is aware of any existing infringing use of the name by other persons that may affect your use of the trademark. If you wish to sell or transfer your franchise during its term, the prior written approval from the franchisor is usually necessary, and the franchisor may deny the sale if the buyer you have found is not acceptable to the franchisor. 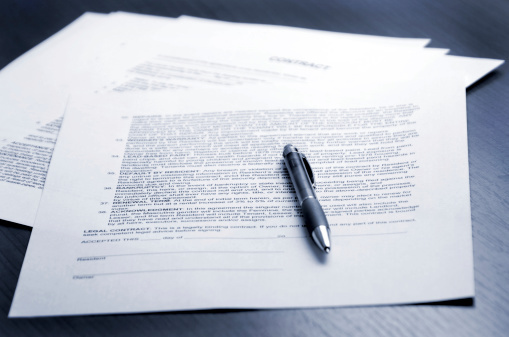 At the end of the franchise relationship, if your contract contains a “non-compete” clause, you may be unable to operate a similar business for a designated period of time or within a certain geographic region. Some franchisors will provide you with information about the levels of earnings or profits you can expect to make as a franchisee. In most every case, the franchisor must include this data in its FDD, and the FDD requires the franchisor to have a reasonable, factual basis for this information. You should be especially wary of any information you receive about potential earnings that is not contained in the FDD. Names and contact information of current and former franchisees are also included in the FDD. This will help you interview others who have already purchased the franchise to ask about the franchisor’s responsiveness to problems and the level of support provided. A franchisor is required to include its audited financial statements in the FDD. Reviewing these financial statements can help you assess the financial condition of the franchisor and its ability to support the franchise system on a going forward basis. Be aware that a franchisor in financial difficulty may not be able to fulfill its obligations to its franchisees. Remember, it is always an excellent idea to have the FDD, the franchise agreement, and the financial statements reviewed by a lawyer or accountant before you make an investment decision.